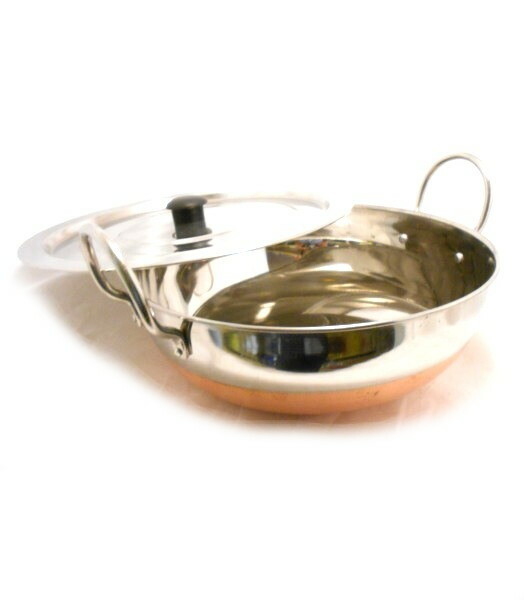 Copper Bottom Stainless Steel Karahi With Lid | Buy Online at The Asian Cookshop. An added benefit of this Karahi is that it will not require seasoning like Iron karahi's. Most Indian kitchens will have a number of Karahi' made from different materials, each suited for different ways of cooking. The stainless steel karahi' are generally used for wet sauce based dishes, cooked on a low heat. 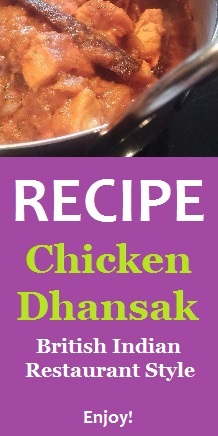 With most kitchens having a separate Tadka pan to 'sizzle' spices and pastes before adding to the karahi. The traditional plate lid is designed to replicate the use of everyday 'plates' as a general cover during part of the cooking, as most dishes require cooking uncovered. The copper is a good conducter of heat naturally and so is often preferred for Indian cooking. Copper can mark and tarnish but it will not affect cooking. TIP: an old family trick passed on to us is that copper bases can be cleaned [wearing gloves] with lemon juice & salt - or try flour, salt & vineger - then rinse, this should bring back some of the shine - thanks Rupa! [Please Note: Lid handle design may differ from picture]. Great value Karahi, copper bottom offers a good thick base - it marks up but then its not bought for the look but its efficiency! !